Perhaps you had a chance to catch Hilaria and Alec Baldwin on Extra this week, when they introduced their gorgeous baby girl, Carmen Gabriela to the world. 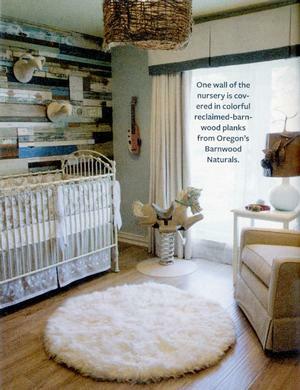 And they did so in their gorgeous nursery outfitted in Bratt Decor's Chelsea Collection in distressed white. The room featured the lifetime crib, dresser/changer, and cradle. Their silky white bedding was also from Bratt. Visit brattdecor.com to get it all! When Alec Baldwin is on the phone, you answer with a very polite, "So nice to speak with you, Mr. Baldwin," says Mary Bauer of Bratt Decor. 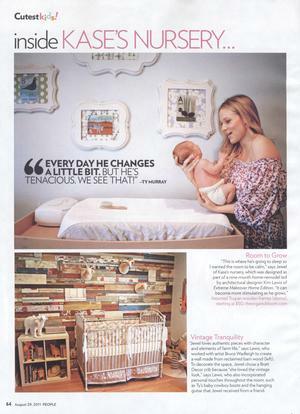 "We were so honored that Baldwin's choose Bratt Decor for their beautiful baby girl, Carmen Gabriela. 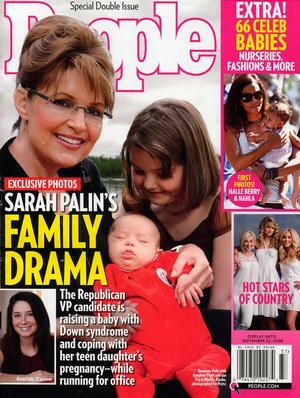 They were so gracious and lovely to work with." 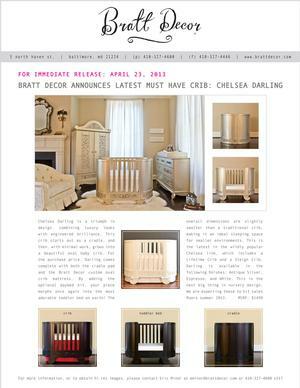 The Baldwin's chose Bratt's Chelsea Lifetime collection in white. Click here to see the interview and nursery on Extra. The baby's crib now takes up the whole house, with nurseries and other special spaces that help parents mind their kids. 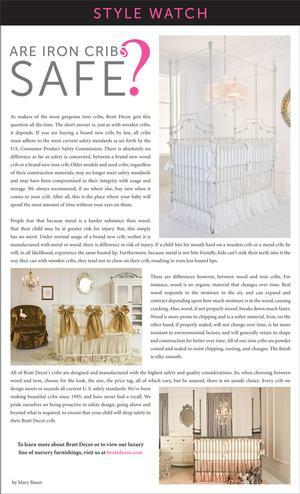 Features several bratt decor nurseries, including our chelsea collection, and venetian four poster crib. visit wsj for full article. Although your new arrival may not be heir to the British throne, he—or she—is no less deserving of the royal treatment. 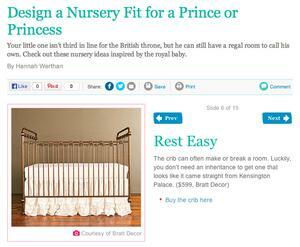 Take inspiration for your own royal nursery from these grand designs. Take away the present-day accoutrements and this Venetian-themed nursery could have come straight out of 15th-century Italy. Softened by white furnishings and plush accessories, this regal yet minimalist room stylishly welcomes a new life into the world—your own little renaissance. 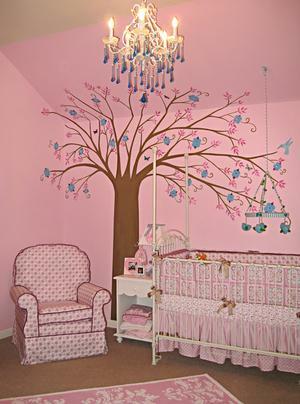 Every element has been thoughtfully designed in this cheerful nursery. 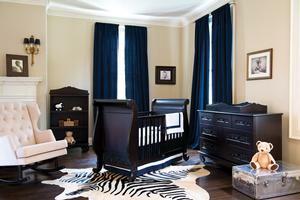 A paneled ceiling and wallpaper border draw attention upward and keep baby's eyes engaged as he drifts off to sleep. Layers of curtains and silky valances help to shade the spectacular space when it’s time for the royal nap. Most of us know what we like and how we want our nursery to feel, but sometimes can't quite figure out how to bring it to life. Here at Bratt, we offer free design service that includes individual help and design boards. Our talented design staff is available to help, just call us at 88824-BRATT. We will make your vision come to life. 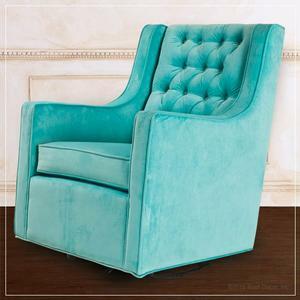 Check out brattdecor.com for more inspiration! 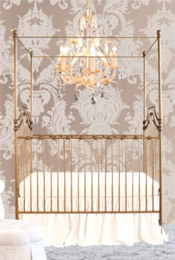 Bratt Decor's J'adore Crib-Cradle ($1,199) grows with your baby. 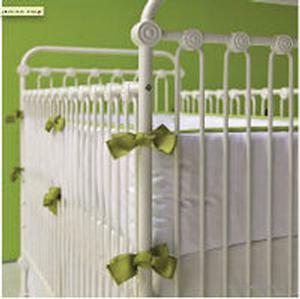 Creating your baby’s nursery is an exciting time in your nesting stage. 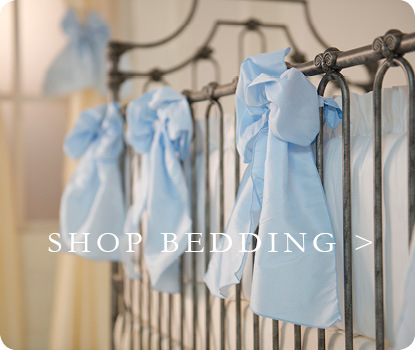 Here is where your inner artist can come to life, manifesting itself in a beautiful, peaceful space for your new baby-with your own unique touches. Mary Bauer (of Bratt Décor) shares some incredible inspiration rooms on the next few pages. 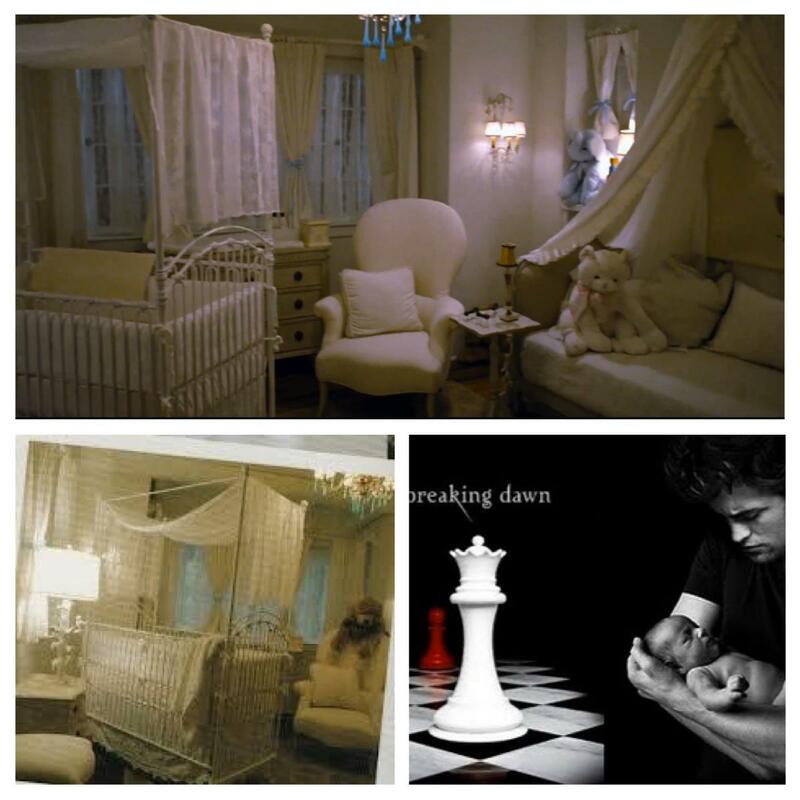 The nursery is where you’ll spend a lot of time together, at least for the first few weeks of baby’s life. Sleeping will be the activity highest on baby’s list of things to do, followed closely by nursing. It suits you well to make the space as comfortable as possible. Forget the typical fads and cartoon characters that people traditionally go for. Open yourself up to the incredible options that will give your baby a strong and stylish start. Choose a focal point, something that stands out for you, or something that holds great sentimental meaning for you. 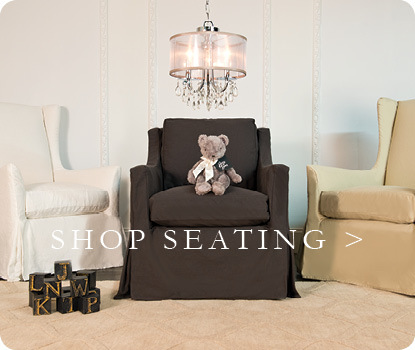 How did you get started in the children’s furniture business? 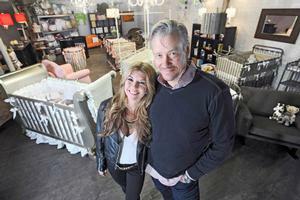 My husband, Stephen, and I began Bratt Decor in 1995 when we were expecting our very first baby. The world of designer looks for children has really blossomed over the past 18 years, but back then, there was nothing—no Pottery Barn Kids, no Restoration Hardware, no Contemporary Designs, nothing. We decided to start our own company, believing that if you gave moms sophisticated choices for a truly designer nursery experience, they would respond. You can’t imagine what an unusual concept that was at the time. People thought we were crazy. Where do you look for inspiration for new ideas? I’ve always been a big fan of iron cribs. There’s something regal and timeless about them. 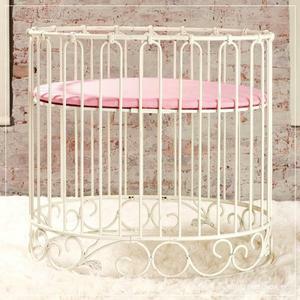 Years ago, you could only own an iron crib if you wanted to spend thousands of dollars on one, but luckily, thanks to some talented designers and retailers, there are tons of options—in style and price! 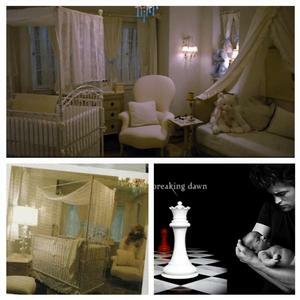 I used Bratt Decor’s Venetian Crib in my first daugter’s nursery. I loved how the four posts could be used with or without the cross bar, and if I didn’t want the height at all, I could remove the posts as well. Options are always good. Bratt adds 3 hot new finishes to the wildly popular Joy Collection. 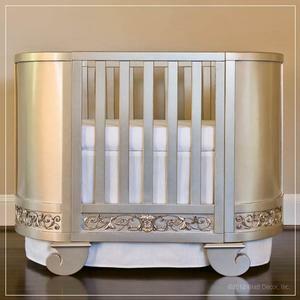 Sparkle and heirloom iron, crib and changer only $998! 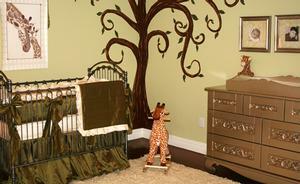 "I had the pleasure of designing the nursery room for AJ McLean's first baby, Ava Jaymes. AJ and Rochelle were so much fun to work with and I enjoyed every minute of it. From the pink and leopard bedding, jeweled accent pillows to the gold stump side table, this little room was designed to be edgy-sweet." 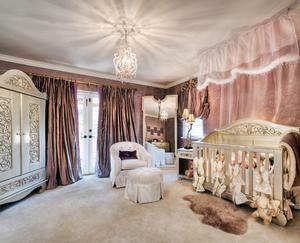 Bratt Decor's Chelsea Lifetime crib and changer/dresser were chosen for this luxury, celebrity nursery. 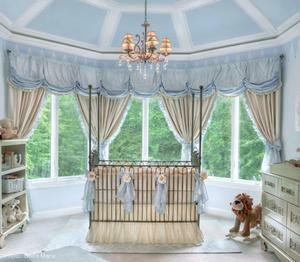 See the Tiffany Blue Glider in December's Pregnancy & Newborn Magazine's feature titled "Heir to the throne." 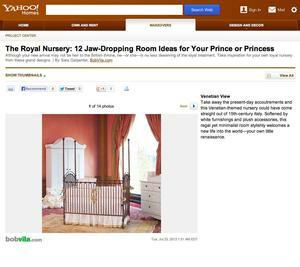 Bestow the newest member of your family with a regal nursery. 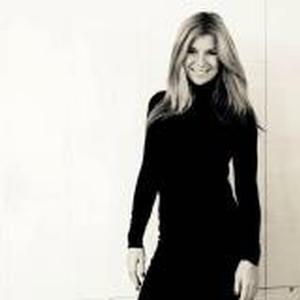 Who does Glam Fairy, Alexa Prisco, star of Jerseyliscious and the Glam Fairy call when she need a totally fabulous nursery? Mary Bauer of Bratt Decor, of course. Ms. Bauer met with the Style network star for an initial design meeting, and then went to work completely redesigning a loft space into a high style nursery. Watch for the complete process as it unfolds on an upcoming episode of Jerseyliscous. Bratt Decor is thrilled to announce they will be debuting their stellar label of infant furnishings in Europe at this year's Kind+Jugend show. Designer, Stephen Bauer has created exciting new designs especially for the European market which promise to dazzle. 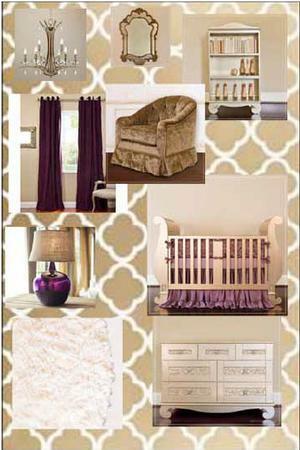 Bratt Decor is the leader in sophisticated, opulence in baby. A long time darling of Hollywood, their designs continue to reign supreme because of the timeless quality. Both wrought iron and wood is used in their collections, which includes cribs, changers, armoires and more. Each piece is an original design of Mr. Bauer and offers stunning, original finishes and details not seen elsewhere. 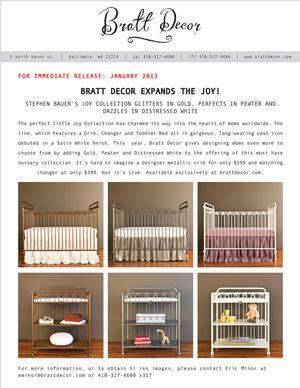 Bratt Decor has been making furnishings for baby since 1995 and are the gold standard in terms of safety, quality and designer excellence. 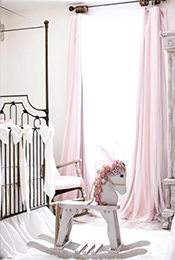 Little Crown Interiors highlights 10 hot design trends for nursery to try right now. 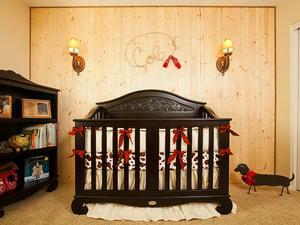 From bold art to sweet monograms to modern pops of color, they show you how to create the hottest crib in town. Bratt Decor is thrilled to have been featured in 3 of the 10 hottest trends. Charles Neal Interiors balances Hollywood glam with Southern warmth for R&B producer Tricky Stewart’s first California home. For Ellah, Stewart’s infant daughter, Neal focused on combining textures to create depth. 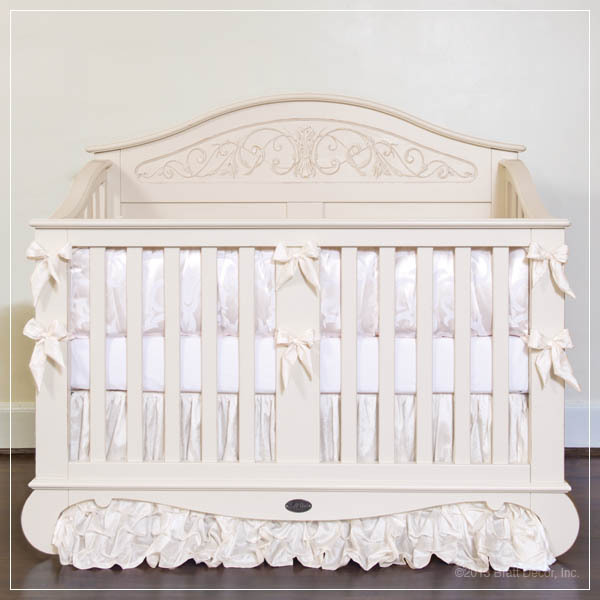 Ella’s crib is covered with a sheer silk cloth edged with a boa, and her drapes are embroidered with tone-on-tone detailing. The furniture is plush and oversized, creating a whimsical aesthetic that isn’t, as Neal says, “too girly or princess-y.” The Stewart residence was completed in December 2010 and remains a modern, glamorous LA home with just enough warmth and charm to make it elegant and comfortable.